Bulgarian PM Boyko Borisov, who arrived on an official trip to Tunisia Sunday, was present at the official launching of the Tunisian School of Politics. The School is modelled on the Bulgarian School of Politics that has been training young Bulgarian political leaders since 2001. The Bulgarian government also gave a part of a building it owns in Tunisian capital Tunis for premises of the new school. "We would like to share our experience in the transition to democracy. We will provide for your school a number of lecturers that were instrumental in Bulgaria's integration in the EU and NATO," said Borisov. The Bulgarian PM also praised Tunisia and its people for the pivotal role they played in the democratization of the Arab world and the buildup to the events known as the Arab Spring. "It is a great honor to be in Tunisia, which inspired many countries in the Arab world to initiate reforms. The big lesson is that tolerance and understanding are neccessary for achieving democracy," said he. Borisov also recalled the long-lasting ties between Tunisia and Bulgaria in the field of education. In the 1970s, 80s and 90s, many Bulgarian university professors, engineers and medics were hired in Tunisia to help develop the country. Bulgarian Minister of Education Sergey Ignatov is among the high-ranking cabinet delegation to Tunisia headed by PM Borisov. Also featured are Minister of Economy and Energy Traicho Traikov, and Foreign Affairs Minister Nikolay Mladenov, who has taken an especially active stance towards Tunisia and other Arab countries in the wake of pro-democracy unrest starting early 2011. Mladenov was pivotal in organizing the so-called Sofia Platform, a forum in the Bulgarian capital holding regular meetings with oposition leaders from accross the Arab World to promote democratic change. Minister Mladenov was in Tunisia Friday for the "Friends of Syria" conference that discussed ongoing bloodshed in the country. 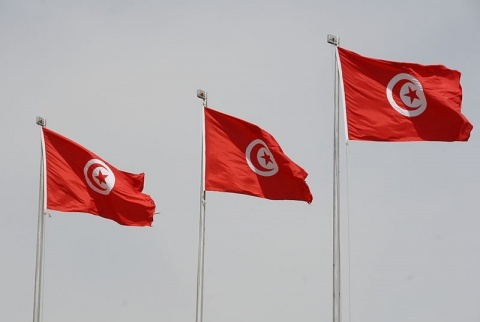 In July 2011 Mladenov was again in Tunisia, to get to know on the ground developments after the January regime change in the country. He sent the first democratically elected Bulgarian President Zhelyu Zhelev as a special envoy for the October 2011 free elections in Tunisia. Monday the Bulgarian delegation is set to meet Tunisian PM Hamadi Jebali, President Moncef Marzouki and Constituent Assembly Speaker Mustapha Ben Jaafar. The Bulgarian delegation will also meet the Bulgarian expat community in Tunisia, and will also participate in a Bulgarian-Tunisian business forum.